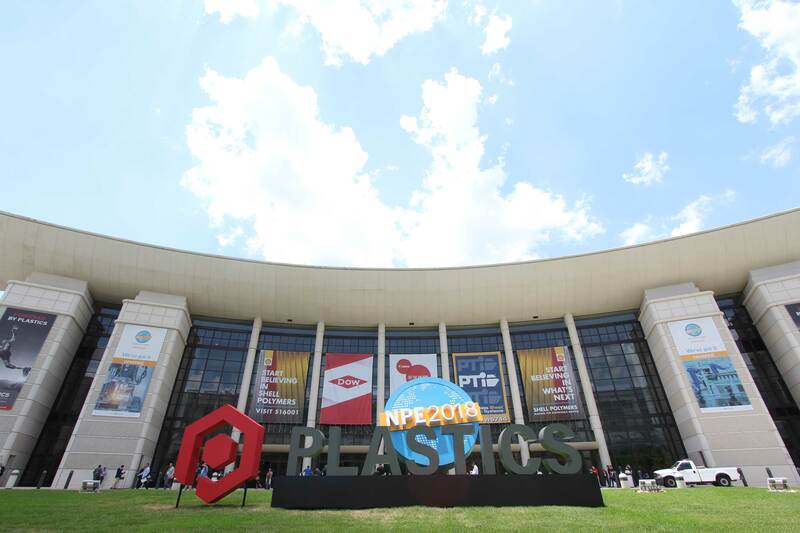 At NPE this year we had the chance to exchange with the leading OEM for injection moulding machinery specifically on recent business developments for new and used machinery in the North American markets. At the NPE, Arburg showed how they already bring digital transformation and Industry 4.0 to reality. Another highlight was the hybrid Allrounder 1120 H with a clamping force of 730 US-tons which is shown as a American premiere. Now with this model, also available in the US, Arburg extends the clamping force range up to 730 US-tons. We are continously interested in buying and selling used Arburg injection moulding machines. On www.gindumac.com you find more information how to sell and buy used Arburg machines with us. KraussMaffei showed at this year’s NPE a GX900 with a new speed option to make packaging and logistics applications faster. With the GX 900-12000, short cycle times of less than 14 seconds can be ensured. With Plastics 4.0 products like the “DataXplorer” the company underlined also its focus on digitization as one important growth driver. For us it is always interesting to buy and sell used KraussMaffei injection moulding machines. Check out www.gindumac.com to sell and buy used KraussMaffei machines. Wittmann Battenfeld showed with its “Pathway to 4.0” how it sees the future of injection moulding. 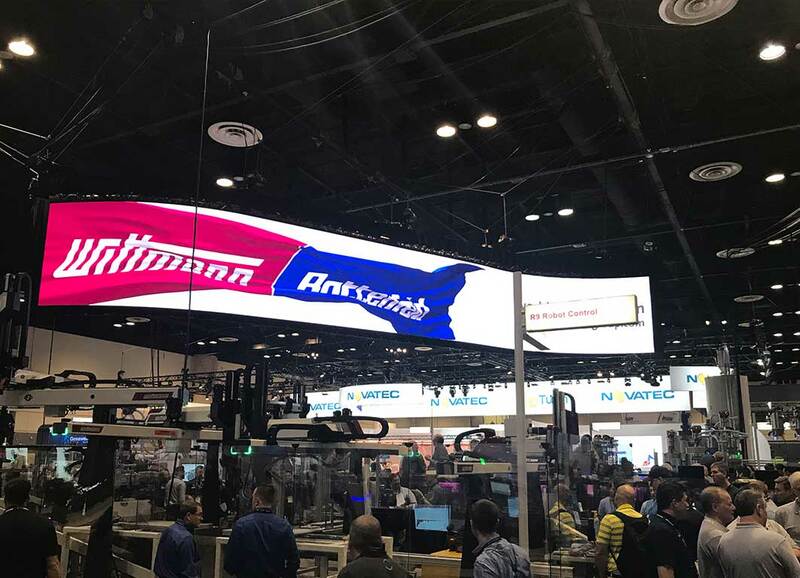 For example visitors could discover how product and process data is collected with the “WITTMANN 4.0 Plug and Produce production network hierarchy” connecting injection molding machines and peripheral devices. If you want to buy and sell used Wittmann Battenfeld injection moulding machines do not hesitate to contact us. On our online platform www.gindumac.com you can sell and buy used Wittmann Battenfeld machines. 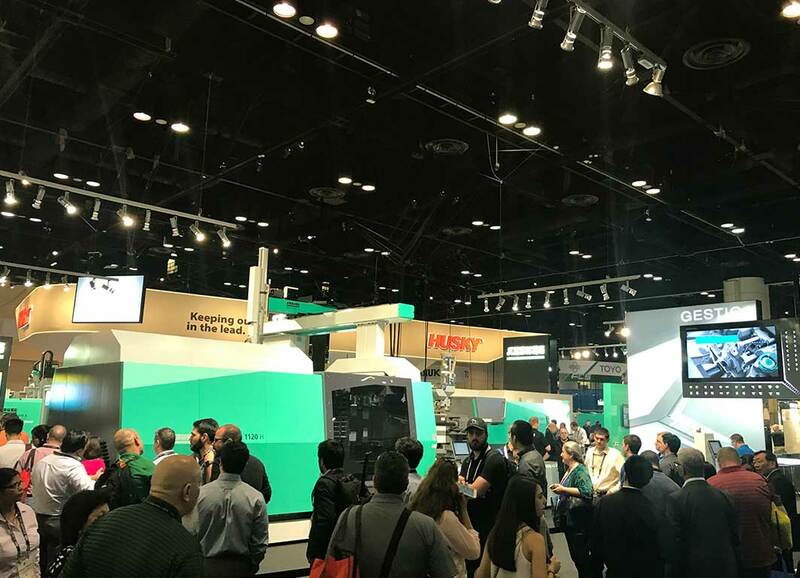 Engel featured the launch of Wintec brand in the US, Canada, Mexico and Brazil on NPE this year to respond to the strong demand for standard machines. 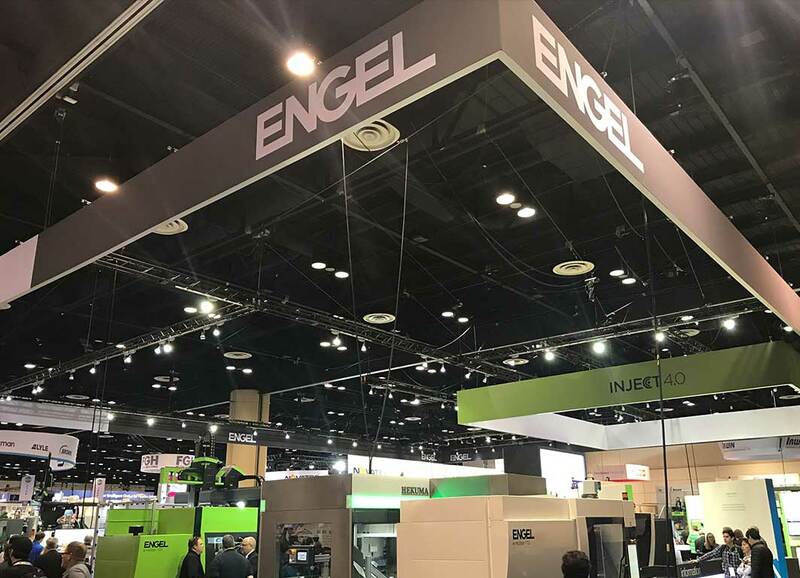 Also, with the launch of Engel’s newest e-connect platform in time for NPE, it underlined its ambitions for Industry 4.0 related innovations. Do you want to buy or to sell used Engel injection moulding machines? Browse to www.gindumac.com to sell and buy used Engel machines. 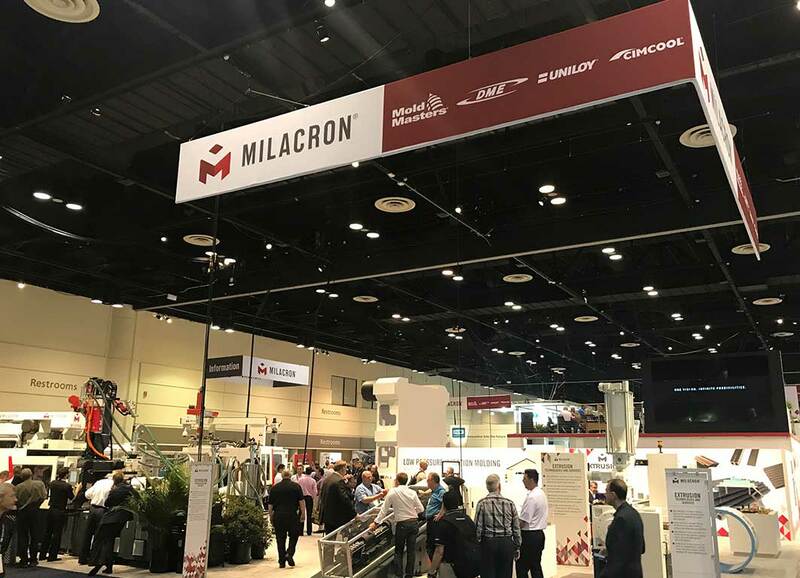 MILACRON played big on this year’s NPE. 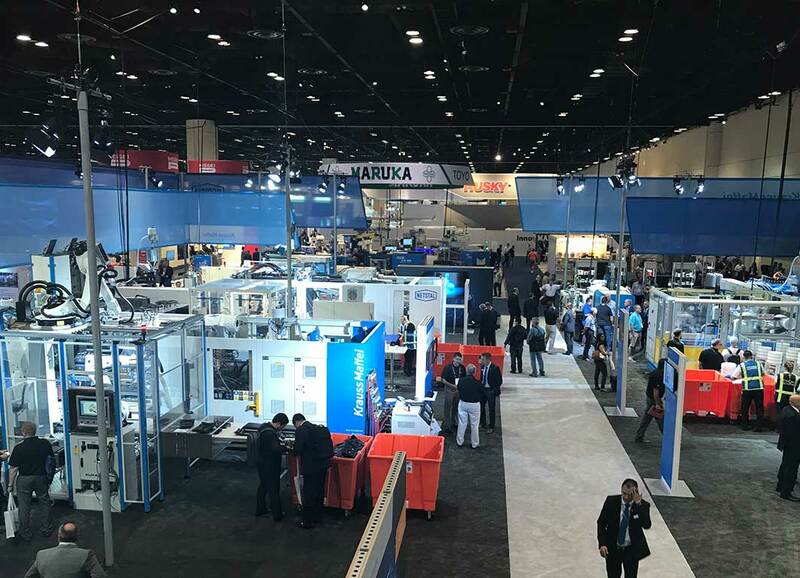 It presented the largest injection press at the trade show with 2,250 tons of clamping force and a 498-tonner roboshot that has an option to boost the all-electric press up to 550 tons. Any used MILACRON injection moulding machines you want to buy or sell? Check out www.gindumac.com to sell and buy used MILACRON machines. 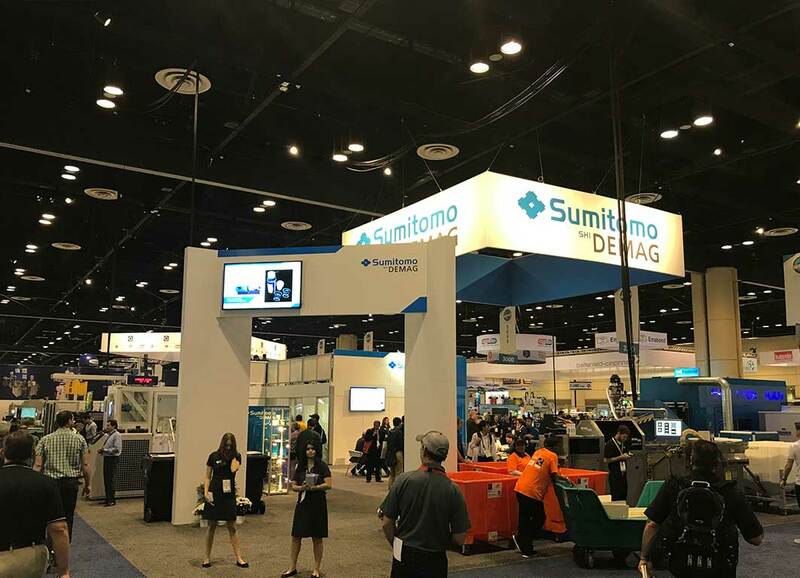 Sumitomo DEMAG showed all-electric and hybrid machines at NPE this year. The focus laid on high-speed medical and packaging applications. For example the El-Exis SP 300 ultra-high-speed hybrid machine is capable to run 72 water caps on a 2-sec cycle. Contact us to buy and sell used Sumitomo DEMAG injection moulding machines! On www.gindumac.com you find more information how to sell and buy used Sumitomo DEMAG machines with us. 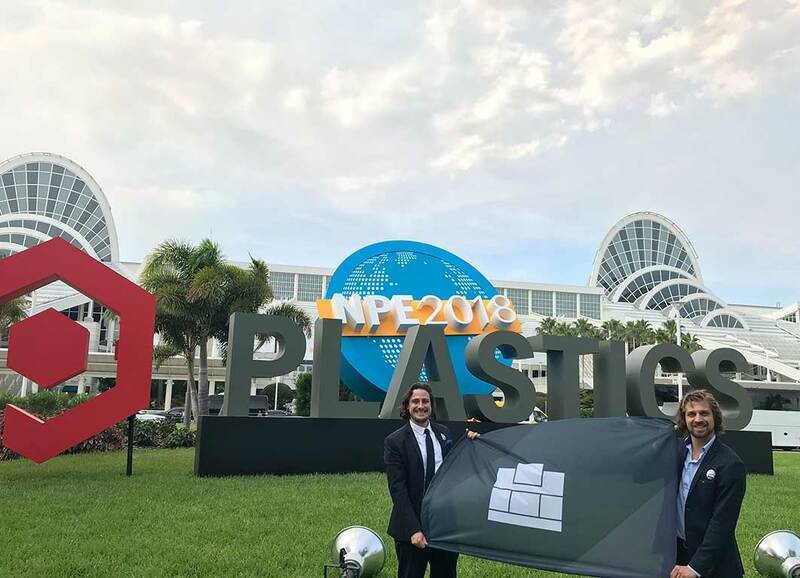 Our Founders & Directors, Janek Andre and Benedikt Ruf represented GINDUMAC at NPE 2018. In two days they exchanged with several OEMs, partners and suppliers to check on new business opportunities. Before leaving they raised the GINDUMAC flag in front of Orange County Convention Center, Orlando, Florida sending greetings to the GINDUMAC team.